Welcome to the Lenscraft in Focus Newsletter December 2018. If you’re paying attention you will know that I skipped publishing the November newsletter without much explanation. I can share now that I was in New Zealand for much of that time. Whilst I was there, I noticed more than ever what I think is a worrying trend. Take this image as an example. People trying to take a selfie next to boiling mud, getting close as possible to the explosions. People climbing on a wall to get their picture next to a lake of hot acidic water. It was a sheer drop from the wall into the lake. People flying drones in a no drone area. It was a no drone area because it was the helicopter flight path taking tourists over a glacier. At many of the tourist locations, you are fighting your way past a sea of selfie sticks, especially if a tourist coach arrived. I was caught on the head on more than one occasion. I hope what I experienced was extreme and that this isn’t the future of photography. Fortunately, once away from the general tourist hot spots, people started to behave more rationally. 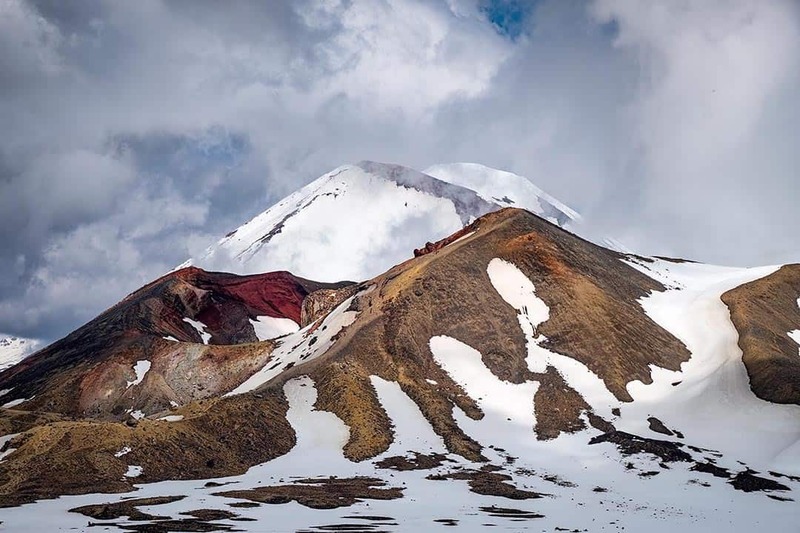 Take the Tongariro Alpine Crossing for example. There wasn’t a selfie stick in sight. I hope you managed to see my video series for Affinity Photo users. This is something a lot of Lenscraft Members asked me to produce. Although I love that people follow me on YouTube, this series is too valuable to just have on YouTube. I don’t want to leave finding it to chance so I’ve created a new page on Lenscraft. This draws together the six videos in the series onto a single Affinity Photo Tutorials page. I hope you find this useful. And don’t forget, you can download the RAW file to follow the videos from the Lenscraft members area. If you’ve been a member of Lenscraft for more than 12 months, you will know that I like to give members a Christmas Gift and this year is no different. I’m not going to say much more at this stage other than the gift will include a book and video package which relates to the image above. I’ll be sending out details mid-December, so keep your eyes open for the email. The Affinity Photo book that I’ve promised for a while is progressing well. Progress hasn’t been quite as fast as I would like as I needed to take a break for my trip and to produce the Christmas Gift above. I expect the book to be available early in the New Year and if the demand is high, I will produce an accompanying video course. I will include an update on progress in the January newsletter. Don’t forget to use the discount codes if you’re purchasing books or courses from Lenscraft. You can find the discount codes on the Members Discounts page. The next newsletter on the first Saturday in January.